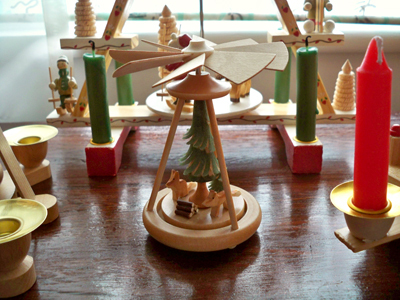 It's January now, but I still have a lot of Christmassy stuff to share. 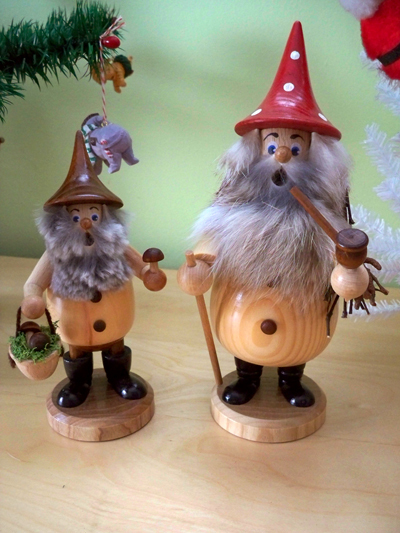 When I was in Germany, I bought quite a few Christmas items. I got two of these smokers. 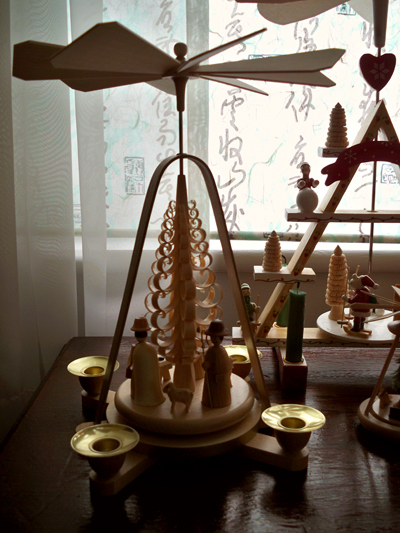 You place a cone of incense inside and the smoke comes out their mouths. 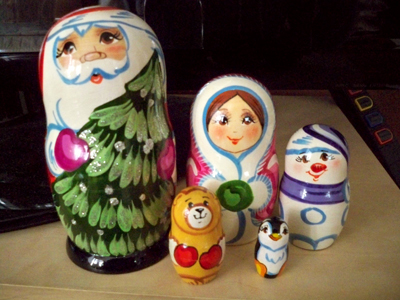 These seem more Russian than German, but I couldn't resist this Christmas set of stacking dolls. 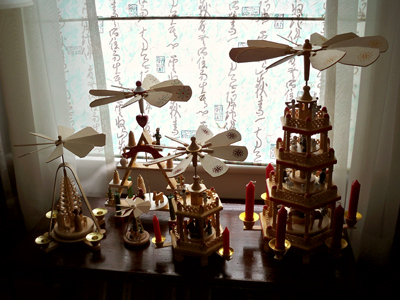 My favorite item of German craftsmanship is the Christmas pyramid. I already had a few. But I brought home this pyramid. I can't find candles that quite fit this one. I also got this teeny tiny one. It doesn't take candles. you have some terrific christmas decorations! friends of my parents had one of those pyramids ... theirs was made of metal, but very much like yours ... it always completely fascinated me. i should keep my eye out for one of my own. Oh I like the smokers a lot! Man, I can only imagine where you store all of your adorable collectibles! I would have NOOOO room in my house. What a great collection! I love the nesting dolls! Karen - thanks for the link! You can always use tea lights if you can't find candles to fit. I have the same tall German pyramid that you do! I've found that Hanukkah candles fit perfect and they can usually be found in local grocery stores.